Search for a Spanish Fork MLS Listing. 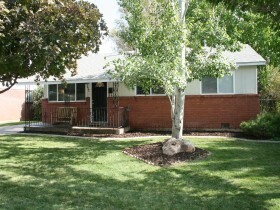 Homes for Sale in Spanish Fork. Our MLS database gets a live stream from the Realtor's MLS throughout the day. You are going to absolutely love it, so remember to bookmark this page! New real estate listings are added throughout the day. Our home search currently has 14,000 homes for sale in Utah. If you choose to register, our system will send you the new listings that arrive each morning. This is a wise move if you want the latest deals on Spanish Fork Homes. Are You Searching for a Particular MLS Listing in Spanish Fork? Feel free to use our Spanish Fork MLS Listing search and if you are looking for a particular MLS listing simply enter the MLS# and you will go directly to the home. You can use this search to find Spanish Fork homes for sale.